After recording the drum kit for or 60s Funk Kit samplepack, I recently spent more time in Gizzard studio with Rich from Tombongo.com, and we spent a day multisampling an absolute peach of a vintage drum kit – a Ludwig 70s Classic kit set up with the much-admired Ludwig 400 snare. This kit had a distinctly different sound to the Gretsch kit we used for the 60s Funk Kit, and that Ludwig 400 definitely has some serious balls to it. Add a bunch of vintage mics and 2 inch analogue tape and we ended up with some seriously gritty drum recordings on our hands. 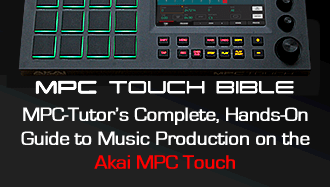 As for the finger drumming side of things, I hand you over to Mr Tim Kroker, a very talented finger drummer and drum teacher from Germany who put the kit through its paces on Maschine Mk 2 (Maschine doesn’t support Round Robins, but does have much better support for velocity zones, so there’s up to 18 different samples per pad). You can check out his finger drumming video at the top of this post. This is actually the second volume of an ongoing series of multisampled kits I’ll be releasing, with a Sonor Designer Kit already recorded and currently being edited. In future articles, I’ll give you some more insight into the actual process of creating these multisampled kits, both at the recording and editing/programming stages. 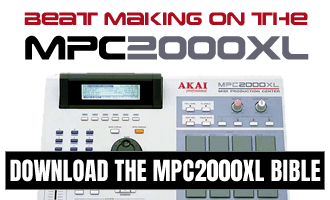 You can find out more about The Raw 70s Kit over at MPC-Samples.com, including a detailed user guide and a video review from Maschinemasters.com.